Vehicles equipped with front crash prevention systems are less likely to rear end other vehicles according to the first study of its kind conducted by the Insurance Institute for Highway Safety (IIHS). While front crash prevention systems, also known as automatic braking or collision avoidance systems have been around for a few years, they’ve primarily been available only as an option on higher end model cars. There hadn’t been enough of them in use to show any trends until recently when IIHS researchers used data from police reported front end crashes to compare the same model vehicles equipped with front crash prevention systems and those without. According to the data, front crash prevention systems that included automatic braking reduced the number of rear end collisions by about 40 percent. Those vehicles with collision avoidance warning alone reduced the number of crashes by about 23 percent. The number of crashes resulting in injury to vehicle occupants was also greatly reduced. The study’s authors said that if all vehicles were equipped with automatic braking systems, there would have been 700,000 fewer rear end crashes in the US in 2013. Overall, that number represents approximately 13 percent of all police reported crashes. Slowing the car enough to lessen the degree of damage or injuries. A survey last year showed that American consumers would rather have collision avoidance systems than wireless technology in their new cars and the National Transportation Safety Board (NTSB) put out a transportation system wish list that included front crash prevention systems as standard rather than optional equipment in new vehicles. This past October, ten vehicle manufacturers announced that they would soon start including front crash prevention and automatic braking systems as standard equipment on all new vehicles sold in the US. Once that starts to happen, we can expect to see a significant decline in motor vehicle crashes as the newly equipped vehicles hit the road. Until then, we’ll still have to depend on our incredibly slow brains to pay attention to the road ahead and avoid distractions. Ten automobile manufacturers have committed to making automatic emergency braking (AEB) standard equipment in all cars manufactured for the US and Canadian market according to a joint announcement by the National Highway Traffic Safety Administration (NHTSA), the US Department of Transportation (DOT), and the Insurance Institute for Highway Safety (IIHS). 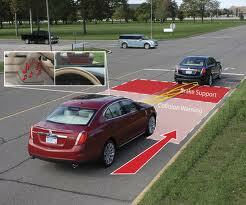 Automatic emergency braking uses sensors such as lasers, cameras, radar, or sonar to detect an imminent crash. The system gives the driver a warning and, if the driver doesn’t take action in time, the system will automatically apply braking to avoid the crash. An IIHS study reported that the technology could reduce insurance injury claims by as much as 35 percent. The system has been offered by several manufacturers over the past several years but only as an option on their high end models. The ten manufacturers who agreed to make the system standard equipment on all models are; Audi, BMW, Ford, General Motors, Mazda, Mercedes-Benz, Tesla, Toyota, Volkswagen and Volvo. Those manufacturers represent 57 percent of the light duty model vehicles produced in the US each year. The automakers have agreed to work with NHTSA and IIHS over the next few months to agree on the details and a start date for implementation of the program. The act of voluntarily agreeing to make new safety technology standard equipment is unprecedented in the auto industry. Normally, NHTSA suggests standardization of a system and, with the automakers kicking and screaming the whole way, congress then has to pass a law making it required equipment. Two things are happening to change the way things are done between the federal government and the auto industry. In 2013, IIHS added automatic braking systems to the requirements for a vehicle to earn the designation as a “Top Safety Pick +” in its annual list of safest cars. In January of this year, NHTSA announced that it was adding automatic emergency braking to its “wish list” of required safety equipment on new cars. By voluntarily agreeing to add automatic emergency braking to their list of standard equipment, the automakers avoid the hassles of dealing with government regulators and remain in charge of the process. Also, as more and more buyers look at the IIHS safety ratings as part of the decision process when selecting a new car, adding automatic emergency braking will also help them get the highly coveted “Top Safety +” designation. Samsung is testing a fairly simple product idea that could make driving safer and save a lot of lives. If you’ve ever been stuck behind a large semi on a narrow road, you know the frustration that comes from not being able to see the road ahead in order to pass the truck safely. Even when the truck may be going relatively slowly, its size makes passing hazardous because of the extra time required to pass and the danger of unseen oncoming traffic. This frustration can lead drivers to make dangerous choices that can result in a crash. 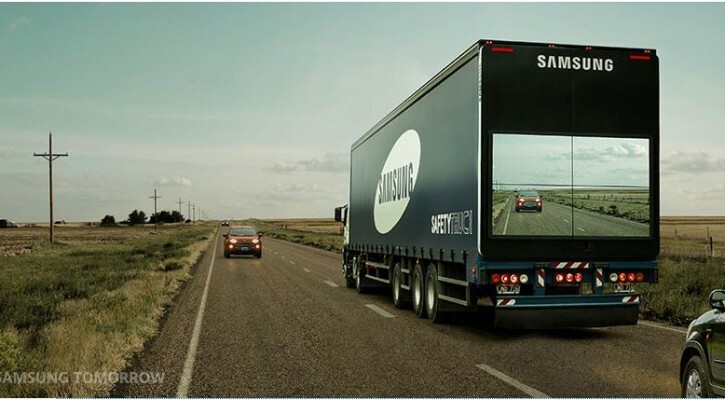 By using a front mounted camera and four large display screens on the rear of the truck, Samsung is testing a video display that will show the road ahead to drivers behind the truck. The video display of the road ahead works even on the darkest roads. Hopefully, the video display will allow drivers to make more informed and safer choices when deciding whether or not it’s safe to pass. Noting that it has one of the highest highway death rates in the world and that many of the roads there are two lane roads, Samsung started testing this new idea in the country of Argentina. According to the Samsung blog, the results look promising but more testing needs to be done. Part of the data that needs to be evaluated is whether or not drivers will adapt to using this technology for its intended purpose or will it become just another driver distraction that takes the driver’s attention away from the road as a whole. Before testing can be done in other countries, testing protocols have to be developed and government permission has to be obtained. Unfortunately, while the technology could prove to be extremely helpful to drivers behind a truck, it won’t do anything to eliminate the large no-zones around a truck that prevent the truck driver from seeing vehicles behind and alongside. Drivers will still need to be aware of and respect the no-zones while attempting to pass. A new system called DADDS (Driver Alcohol Detection System for Safety) was introduced to lawmakers, researchers, and safety advocates by the National Highway Traffic Safety Administration (NHTSA) today. DADDS is designed to prevent a vehicle from starting if alcohol is detected in a driver. The system under development can do this in one of two ways, either through detection of alcohol in the driver’s breath or through touch on the vehicle’s starter button. DADDS has been under development for several years through a joint effort by NHTSA and the Automotive Coalition for Traffic Safety (ACTS) a coalition of automotive industry groups. Together, they have worked with private sector researchers to develop this potentially life saving technology. More than 10,000 deaths per year are caused by drunk drivers. That’s approximately one-third of all highway deaths in a year. It’s hoped that this system, once it’s fully developed, can prevent the majority of those deaths. Phase I – Research and analysis of two different technological approaches to measuring driver alcohol levels – a touch-based approach allowing assessment of alcohol in human tissue and a breath-based approach allowing assessment of alcohol concentration in the driver’s exhaled breath focused on speed, accuracy and precision. Completed 2011. Phase II – Additional Research and testing of touch-based and breath-based sensors to improve accuracy and precision performance, and decrease measurement time to meet or exceed DADSS performance specifications. The prototypes will then be installed in a research vehicle. This phase is expected to be completed early 2016. Phase III – Phase III and subsequent phases of research will permit further refinement of the technology and test instruments as well as basic and applied research to understand human interaction with the sensors both physiologically and ergonomically – that is, how these technologies might operate in a vehicle environment. This phase began in late 2013 and is being conducted in parallel with the Phase II research. 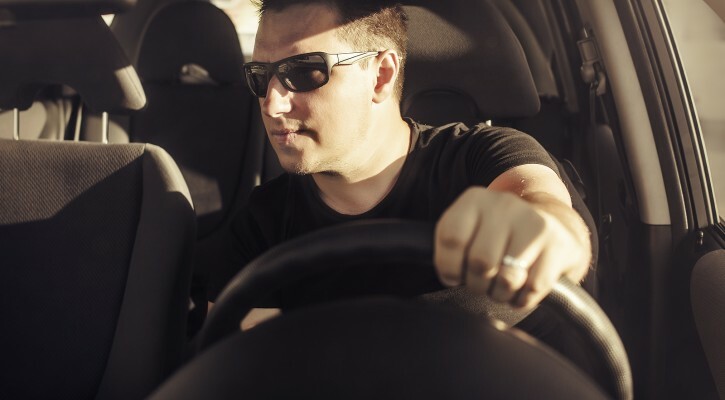 Once the DADDS system is fully developed, NHTSA hopes that starting a vehicle will be seamless and practically unnoticeable to a sober driver but impossible for a drunk driver. Self driving cars have recorded very few crashes and, for the most part, weren’t at fault in those they did experience according to research done by the Associated Press. While self driving cars, have been on the road for several years, the manufacturers weren’t required to publicly report crashes involving their cars until a new California law went into effect in September of 2014. That law made public reporting of crashes involving self driving cars a part of the licensing agreement to test the cars on state roads. 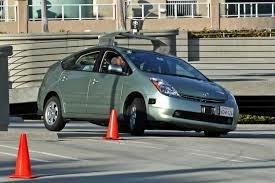 Google has been driving their self driving cars on California roads for six years. At all times, there are engineers behind the wheel ready to take over in case something goes wrong. According to Google, the cars have have driven more than 1.7 million miles with one million of those miles completely automatic. According to Google, their 23 cars have been involved in eleven minor crashes with only minor damage and no injuries. Google claims that none of the cars on automatic mode were at fault in the crashes. In April, in the first trip of its kind, Delphi Automotive sent a self driving car across the country from California to New York with 99 percent of the driving done by the car’s automatic controls. There were no reported incidents. Delphi did report one crash previous to the cross-country trip in which the driver of the other vehicle was at fault. The promise of self driving cars is that they will make driving safer because, unlike human drivers, they follow traffic rules, obey the speed limit, and watch for hazards on the road. Even in an “unavoidable” crash, say with a red light runner, the self driving car can react quicker and apply the brakes or perform an evasive maneuver that will lessen the impact of the crash. As of now, four states (California,Nevada, Michigan and Florida) plus the District of Columbia have passed laws authorizing testing of self driving cars on their roads. None of the other states outside of California have reported any crashes. A study published last week By J.D. Power shows that consumers prefer collision avoidance technology over wireless connectivity in their automobiles. At a time when auto manufacturers seem to be rushing to add more and more distracting wireless technologies to their new vehicles, this study comes as a welcome bit of news to driving safety advocates. According to J.D. Power, consumers are showing more acceptance of self-driving vehicles and the top three technologies that consumers prefer are the building blocks for eventual fully autonomous vehicles. Choices between operating systems and wireless carriers are one of the reasons consumers felt less inclined to prefer wireless technologies in new vehicles. Consumers are loyal to either Android or Apple operating systems and their wireless carrier. 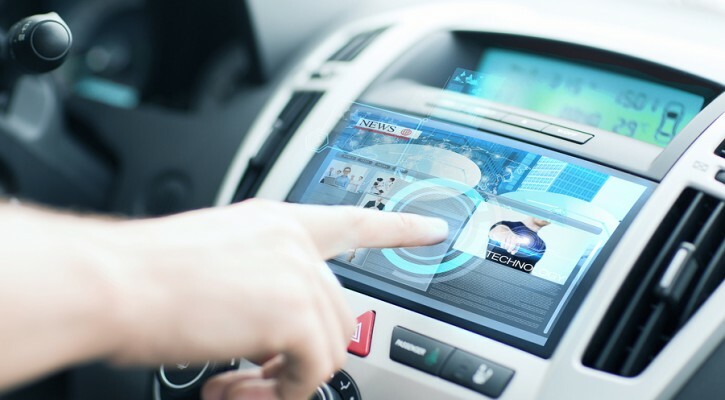 Consumers are wary about having the automaker choose an operating system for them and, until automakers solve the problem of a one size fits all system, wireless will remain a low priority. Invisible pillars and ghost cars are a couple of new technologies to make driving safer that are being proposed by Jaguar Land Rover researchers.